On Monday Royal Caribbean hosted a naming ceremony for their latest ship Anthem of the Seas while she was docked in Southampton. Emma Wilby, the Godmother of Anthem of the Seas, officially named the ship in a ceremony attended by over 1,300 guests. The ceremony started with a procession of VIP’s before DJ Womso took to the stage to perform for the crowd. The Godmother procession saw Richard D. Fain, Chairman and CEO of Royal Caribbean Cruises Limited, Michael Bayley, President and CEO of Royal Caribbean International, Emma Wilby, a 27-year-old British travel agent and Godmother to Anthem of the Seas, and Captain Claus Andersen, Master of Anthem of the Seas all took to the stage. The American and British national anthems were sung after the Reading Scottish Pipe Band had performed a number of melodies. Michael Bayley delivered his speech which was then followed by the Welsh choir and Britain’s Got Talent finalists Only Boys Aloud who performed a rendition of Coldplay’s Paradise. The ship was blessed before Richard Fain took to the stage to give his speech. 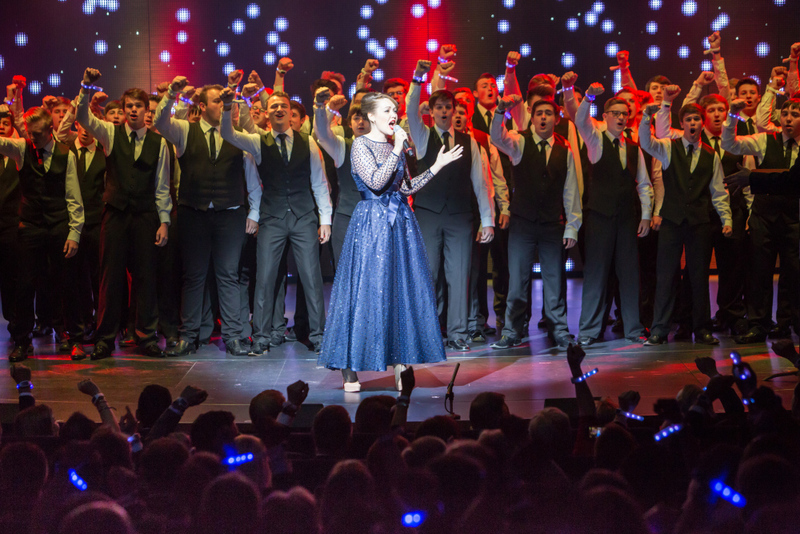 He then introduced Emma Wilby who took to the stage in her blue vintage gown to sing Katy Perry’s Firework, with backing vocals provided by Only Boys Aloud. In a twist to the performance Xylobands worn by the majority of the audience unexpectedly illuminated and changed colour in time with the music. Following this high-energy performance it was time to name the ship. Baritone Craig Yates from the Welsh male voice choir Only Men Aloud led a segment requiring audience participation before Emma Wilby officially named the ship and pressed a trigger. In a break from tradition this trigger released a bottle of Champagne that hurtled along a zip wire between North Star sending it smashing against the deck to complete the naming ceremony. 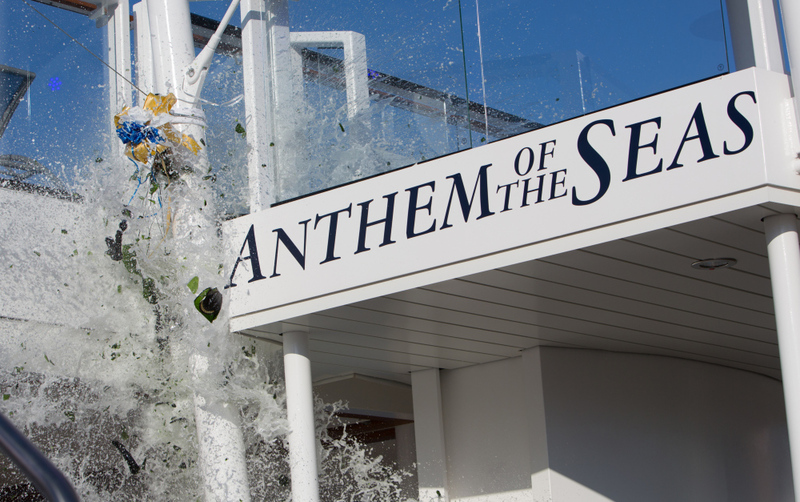 The naming ceremony took place in Anthem of the Seas’ Royal Theatre and was broadcast live throughout the ship. At one point in the ceremony a live link up with Cruise Director Joff Eaton in the Two70 venue was established. Anthem of the Seas set sail on its inaugural cruise from Southampton for paying guests on Wednesday 22 April who were given the red carpet treatment on arrival at the terminal building. During the maiden voyage the ship is scheduled to call into the ports of Vigo, Spain; Gijon, Spain; Bilbao, Spain; and Le Havre (for Paris), France. World of Cruising was on-board a preview sailing prior to the inaugural cruise and extensive coverage will be published in the next issue of the magazine available soon. Make sure you subscribe to receive your copy.